The last week was one for the Oil Bulls, and prices rose on four out of five trading days. Reports of an expected slowdown in OPEC deliveries and a more significant than expected decline in weekly US oil stocks supported oil prices. 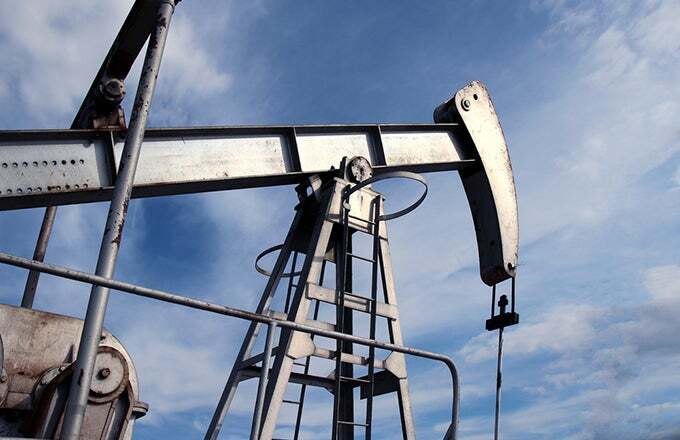 Analysts expected a destocking of around 1.5 million barrels, but inventories were down 5.8 million barrels. News of a slowdown in supply and higher demand pushed prices up more than 5% during the week. The markets' concerns about imminent sanctions on Iranian oil take precedence over tense trade relations between the US and China. This week, traders are likely to focus on factors that suggest oil prices in excess of $ 70 a barrel. In the tug-of-war over the market's attention between supply and demand, the supply side now seems to be gaining. 6 billion worth of US energy products, including butane, propane, naphtha, kerosene and coal. Traders feared that a worsening trade relationship between the US and China could impact global demand for oil and oil products and depress prices. Trading concerns are now subordinated to concerns about supply. Traders focus more on slowing Iranian oil purchases before the November 2018 sanction deadline in the US. Investment bank Jefferies informed customers that third-party reports indicate that Iranian tanker shipments have already fallen by around 700,000 barrels per day (bpd) in the first half of August, compared to July. The US hopes to halt all world purchases of Iranian crude oil after it has fully implemented the sanctions. The strong oil price trend of last week It pushed prices back in the range of $ 66 to $ 70 a barrel, where they have been trading since mid-July. Oil is now able to re-test the $ 70 a barrel level, where it encountered resistance earlier in the month. A closing price above $ 70 would be a particularly bullish signal and would likely cause the 21-day exponential moving average price to rise above the 55-day exponential moving average price. It could also allow the fast moving line of the Moving Average Convergence Divergence to move above the neutral zero line. Many traders would view this as a strong technical buy signal. 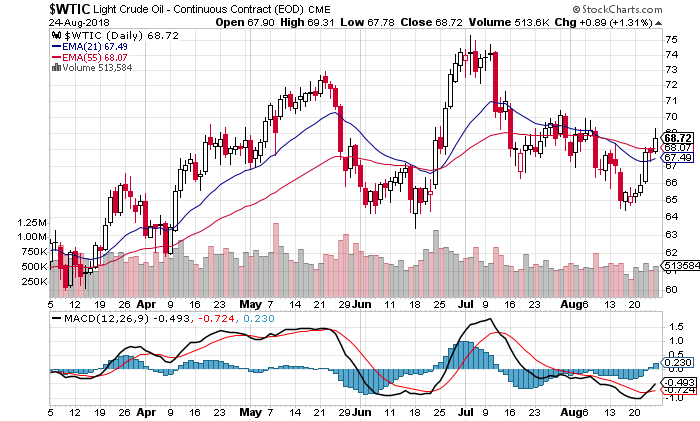 Other technical indicators are also bullish thanks to the strong recovery of the oil last week. For example, technical indicators on the daily price table now show seven purchases, two sales and a neutral signal. Daily moving averages are also more optimistic, with all exponential moving averages – from five days to 200 days – signaling a buy. However, the higher weekly timeframe chart remains cautious. Here, the technical indicators remain bearish, with six sell, three neutral and two buy signals. The weekly price table could become neutral this week as the price movement continues to rise. The weekly price table has adopted a technical bullish engulfing pattern. With this pattern, the candle opened lower last week than in the previous week, but also closed higher. The bullish move has completely overshadowed the downside movement of the past week. Traders believe that this means that the downtrend has lost momentum and that the bulls could gain strength. Traders will focus on this week's price action. Oil consolidation gains above $ 70 a barrel would be a technical bullish signal and would support those who argue that prices will rise in 2H18. However, if oil remains in the range, this could be a sign that the upward trend is easing and that traders should expect sideways movement for the time being. Disclaimer: Gary Ashton is an oil and gas financial advisor writing for Investopedia. The observations he makes are his own and are not intended as investment or trading advice. Pricing chart courtesy of StockCharts.com.